Horror maestro Guillermo del Toro has created a bold, whimsical fairy tale with heart and humor. Richly crafted and tenderly portrayed, The Shape of Water paints a haunting sci-fi love story with classic monster movie influences. Set in 1960s Baltimore, the film follows Elisa (Sally Hawkins), a mute janitor who works at the Occam Aerospace Research Center. She and her chatty friend Zelda (Octavia Spencer) work the night shift. Elisa also counts her next door neighbor Giles (Richard Jenkins) as a friend. A commercial illustrator, he’s struggling for work, as his paintings are slowly being replaced by photography. One day, while Elisa and Zelda are at work, they discover the U.S. military has brought in a mysterious creature. Elisa encounters the finned, scaled amphibious creature through glass the first time. While the U.S. military views him as a monster, Elisa sees a lot of herself in him. They are both silent beings and carry the scars of abuse. The fact that he doesn’t see her as imperfect and incomplete makes her feel alive. Elisa plays Benny Goodman records for him during her lunch when no one is around, and they begin to form a unique bond. She teaches him sign language and shares her favorite hard-boiled eggs with him. Lead government agent Richard Strickland (Michael Shannon) has no sympathy for the creature. An authoritative figure who abuses his position of power for his own means, he tortures the creature on a daily basis. He treats the janitors with disrespect and is, in every way, the real monster of the movie. When Elisa finds out that they plan to kill the creature, she decides to free him, with the help of her friend Giles. The actors play a phenomenal role in bringing del Toro’s spellbinding story to life. Sally Hawkins expresses herself through pure emotion, without ever saying a word. The remarkable scope of the creature is characterized by incredible CG effects and an outstanding performance by Doug Jones. It takes two very talented actors to sell a love story between a woman and an amphibious creature. Weird? Yes. Entertaining? Absolutely. 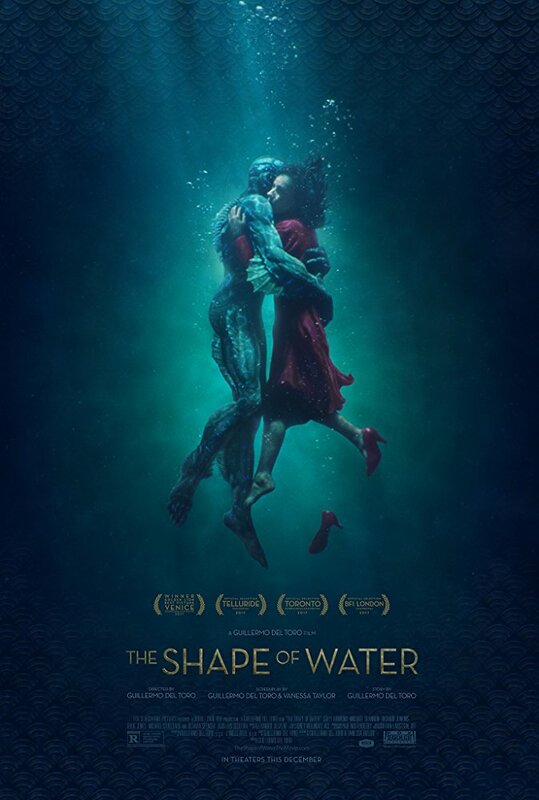 The Shape of Water is a highly immersive, visually compelling film that is, in every sense of the word, pure movie magic. The cinematic experience is further enhanced by a whimsical Busby Berkeley dance number. The state-of-the-art visual effects and elaborate production design show that cinema is very much thriving thanks to directors like del Toro. If you have seen the film and would like to give your two cents, click here. Whimsy is not a good thing in film. English actor Burn Gorman discusses his character Hermann Gottlieb’s return to the big screen in Pacific Rim Uprising, co-star Charlie Day and what’s next.